Fleury La Rivière is 11 kilometres north-west of Epernay. The Communal Cemetery is down a small road near the church. The Commonwealth war graves are located at the end of the 5th row to the left hand side of the centre aisle. 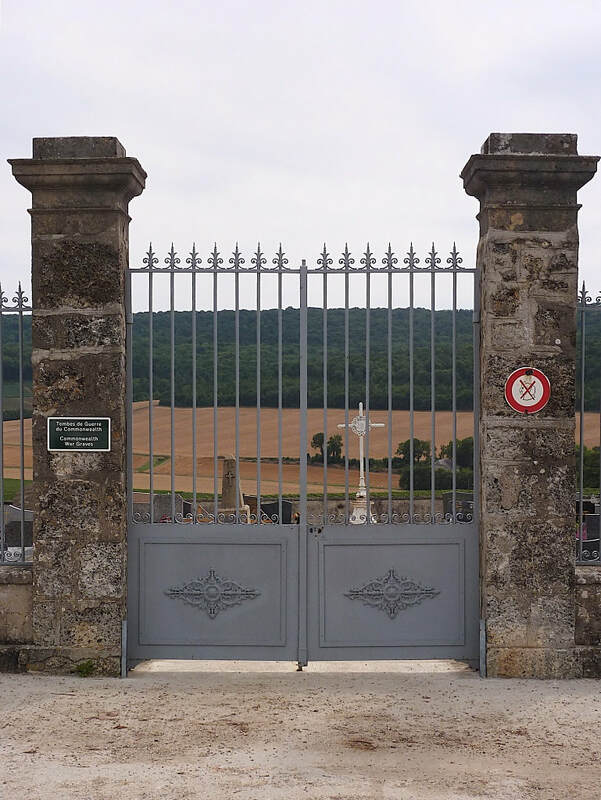 This cemetery contains 76 French War Graves and (near the North boundary) two British graves both of men killed in 1918. 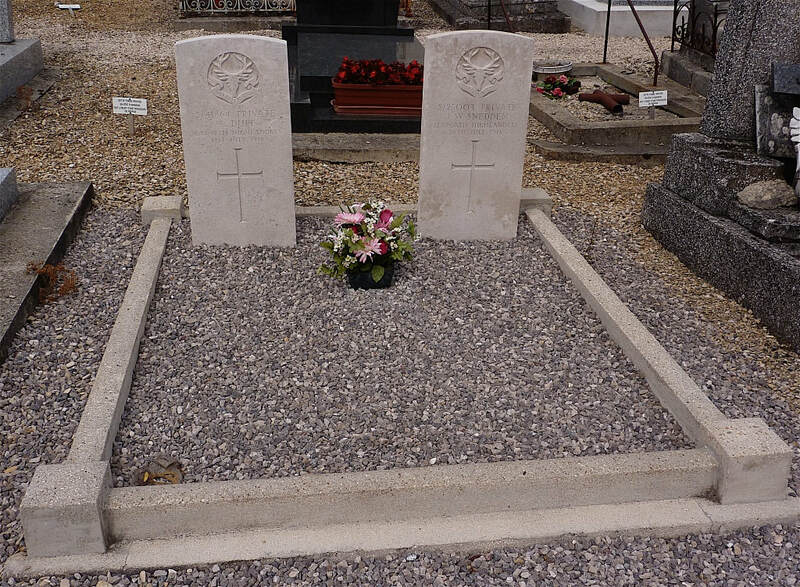 Two other British graves from the former EXTENSION were moved to Épernay. No. of Identified Casualties: 2. 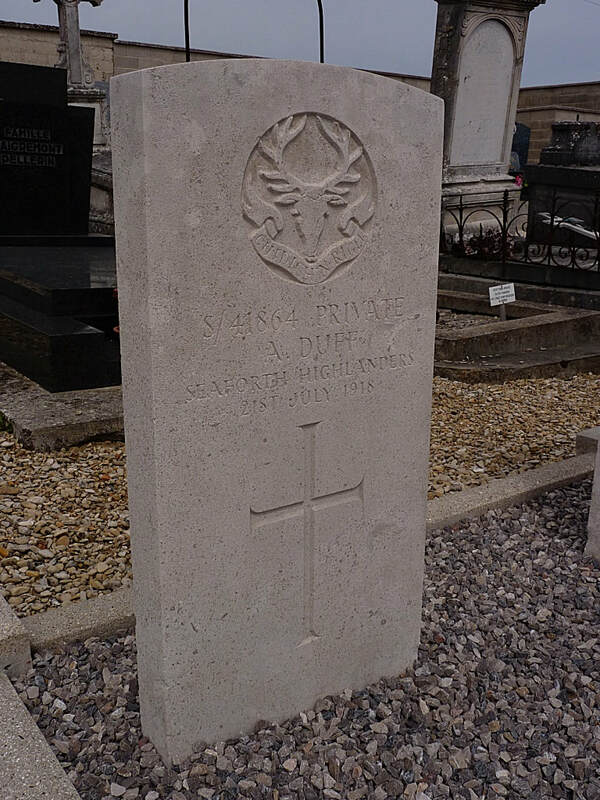 S/41864 Private A. Duff, 6th Bn. Seaforth Highlanders, died 21st July 1918. 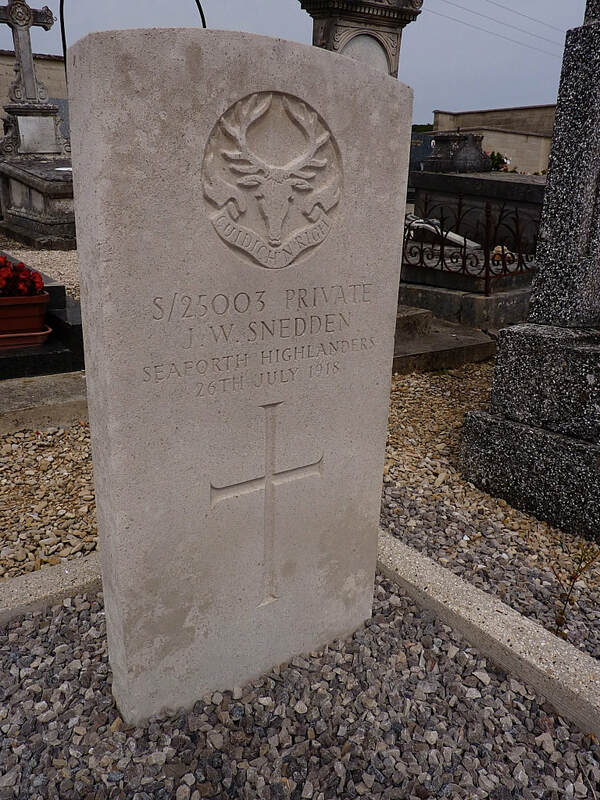 S/25003 Private J. W. Sneddon, 1st/6th Bn. Seaforth Highlanders, died 26th July 1918.